Tabs - The Constituent Profile is now broken into tabs and is no longer scrollable. Click into each section to find what you're looking for. Details on what each section contains can be found below. Social Icons - Social icons, which were previously in the profile header next to the constituent name, have been moved to the Summary section of the profile. The profile is then broken down into several tabs, helping you easily navigate and discover what you're looking for. EverTrue gives you a better understanding of every constituent by bringing in information via best-in-class integrations. We’ll display the logo of the data source next to the info on the constituent’s profile. 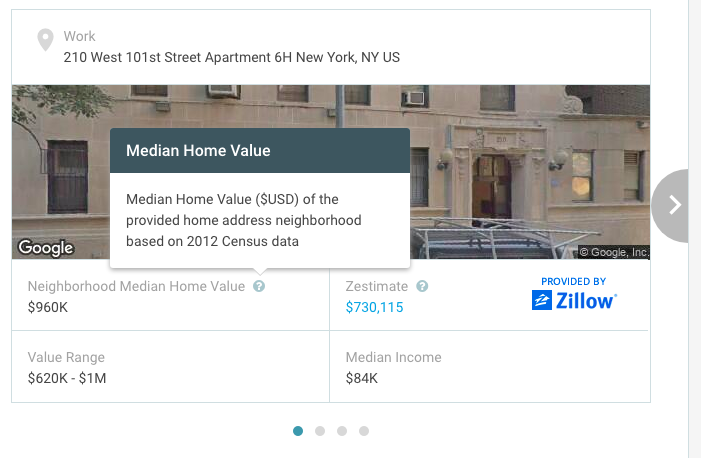 See an example of Capacity Data from Zillow below.